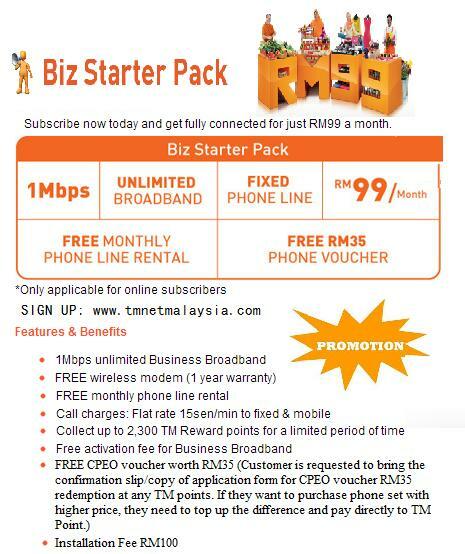 TM has launched a promotion for Streamyx Business packages (BB RUSH) effective on 3rd of August 2016 – 30th of September 2016. 1)Include RM88 worth of STD call value at normal rate. After apply TM Net Technician will call you for appointment arrangement. Once you apply Streamyx register Blockbuster packages, you no longer need to pay the RM25 fixed line rental anymore, all you pay monthly is 1 Price, eg. RM60. For new phone line application, you need to upload your IC. You will need to pay in the first bill the standard charges of RM75 for deposit and RM10 for stamp duty. If you are applying for basic packages (not any of the blockbuster packages) you will need to pay additional RM50 for phone line activation.NOTE: the deposit for phone line application for non-Malaysian is RM1,075. RM30 cash to be paid to the TM contractor for installing the phone. If additional wiring is needed, the charges will be RM50 or more. We will process your order only if we receive all supporting documents. Your order will be rejected if you fail to provide all supporting documents.